Accreditations and affiliations | "Learning for Life"
We understand that choosing a school that is right for your child is one of the most important decisions a parent can make. There is a large variety of international education options in Tokyo, options of varying quality. Researching and selecting a school with quality programming in which your child will thrive can be a significant challenge. At KIST, we are committed to delivering education of the highest standard and to the continual development and refinement of our educational programs. The quality of educational programming at KIST is assured through school accreditation and/or authorization by external organizations. While affiliation with such organizations mandates staff involvement in professional development, KIST also supports staff involvement in continuously reflecting on, and improving, their practice through professional opportunities provided by other membership organizations we belong to and through a comprehensive teacher appraisal system implemented annually. The Council of International Schools (CIS) is a membership community working collaboratively to shape international education through professional services to schools, higher education institutions, and individuals. The CIS vision is to inspire the development of global citizens through high quality international education: connecting ideas, cultures and educators from every corner of the world. The CIS community includes 711 schools and 512 colleges and universities representing 112 countries and is the largest organization providing focused support to international schools. 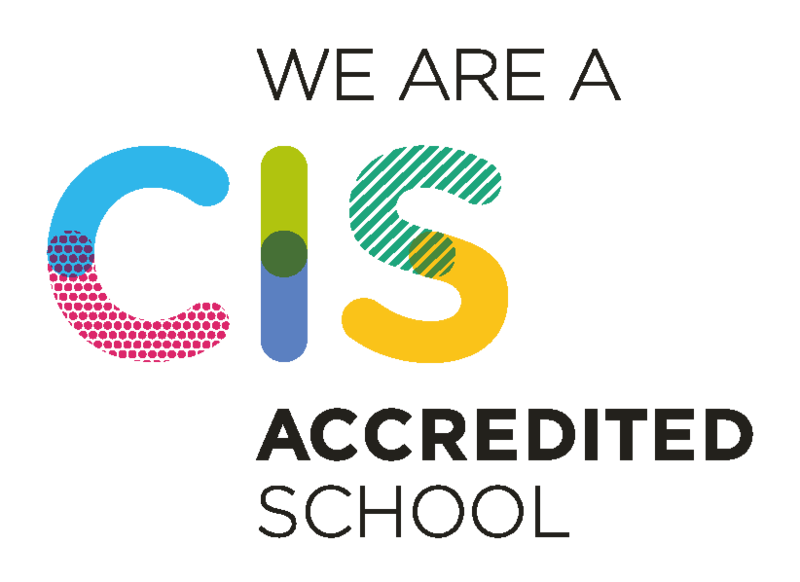 As a fully accredited CIS school, KIST has met thorough accreditation requirements in areas including whole-school operations, school governance, and curriculum and is required to participate in ongoing whole-school evaluation inspections every 5 years. Founded in 1968, the International Baccalaureate (IB) is a non-profit educational foundation offering highly respected programmes of international education that develop the intellectual, personal, emotional and social skills needed to live, learn and work in a rapidly globalizing world. The IB has a hard-earned reputation for high standards of teaching, pedagogical leadership and student achievement. Authorized as an IB World School since 2002, KIST delivers a continuum of thoroughly developed IB programmes from Kindergarten through to graduation: the Primary Years Programme (PYP) in Grades K-5; the Middle Years Programme (MYP) in Grades 6-10; and globally acclaimed Diploma Programme (DP) in Grades 11-12. To ensure strict adherence to IB developed standards and practices, and to support continued program development, KIST participates in evaluation inspections of each IB program every 5 years. Pearson’s Edexcel is the UK's largest awarding organization, offering academic and vocational qualifications and testing to educational institutions around the world. KIST is authorized as an Edexcel International Centre authorized to offer the International General Certificate of Secondary Education (IGCSE), an internationally recognized qualification for students based on individual subjects of study. IGCSE courses combine a progressive approach with international content, allowing learners to achieve their full potential in today’s global economy. All students at KIST complete the IGCSE Mathematics exams. The College Board and Educational Testing Service has designated KIST as a Test Center for the administration of the SAT exams in Tokyo. This partnership ensures that KIST students have easy access to sitting the SAT exams held at various times each year right here on our campus. All KIST students sit the PSAT exam in Grade 10. All students aspiring to attend university in the US are encouraged to sit the SAT exam. KIST is certified as an authorized educational foundation by the Tokyo Metropolitan Government’s Ministry of Education. In meeting the strict requirements in becoming certified by the local authorities, KIST is recognized as an institution delivering quality educational programming. Many benefits result from this recognition, including tax-exempt status for the school, access to secondary school educational support funding for parents, and student eligibility for concession fares on public transportation. The East Asia Regional Council of Schools (EARCOS) is an organization of 158 member schools in East Asia. EARCOS's mission is to inspire adult and student learning through its leadership and service and to foster intercultural understanding, global citizenship and exceptional educational practices within its learning community. KIST is a member of the Corporate Contribution Program Association, a special corporate scholarship program that is available for organizations responsible for covering expatriate employees' educational expenses. Instead of paying tuition and applicable fees, companies agree to make donations to the school. The donations are used partly to fund special corporate scholarships, which are awarded to dependents of participating companies. Please contact Yukinori Honda at yukinori.honda@kist.ed.jp for further information on the benefits of the CCP program, eligibility requirements and other details. KIST is a member of the Japan Council of International Schools (JCIS). JCIS has 27 member schools operating in Japan and CIS exists to promote, support and sustain quality English medium schools serving the international community in Japan through an educational framework which is international in both style and substance. JCIS is a collegial and collaborative organization which exists for the betterment of all international schools in Japan to the benefit of the parents who choose them and the children who attend them. The Principals’ Training Center for International School Leadership (PTC) The PTC serves the unique professional development needs of practicing and aspiring principals, teachers, counselors and school business leaders in international schools worldwide. KIST is an official member of the PTC and regularly accessed professional development workshops and the networking opportunities available through PTC to support international schools. The Tokyo Association of International Preschools (TAIP) was founded in 2005, supports international preschools in the Tokyo area in terms of networking, staff development, parent education and publicity. KIST is a founding member of TAIP and regularly involves staff with networking and professional development opportunities provided by TAIP.